Brett Wise has been in the Records & Information Management (RIM) industry for over 13 years. He has spent much of his RIM career in the legal sector working as a Records Manager for three different law firms. Currently, Brett is Director of Records & Information Management for the American Board of Pediatrics in Chapel Hill, North Carolina. Brett’s RIM responsibilities have been wide-ranging. He has extensive experience in: information/records lifecycle management, project/program management, strategic planning, risk management, policy development, systems administration, staff training, and vendor relationship management. 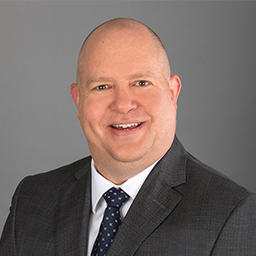 Over the past several years, he has spent considerable effort on developing Information Governance and Compliance initiatives for his organizations, including identifying and addressing Information Privacy and Security needs. Brett is an active member of several professional organizations and serves on the ICRM’s Marketing & Professional Development Committee. He has been a contributing author to professional publications related to Records Retention and Information Governance, and has spoken on topics such as Information Governance, Privacy, Change Management, Disaster Preparedness, and the value of professional certification. Brett earned a Bachelor’s and Master’s degree in Political Science and Public Administration respectively. In addition to his Certified Information Privacy Technologist (CIPT) and Certified Information Privacy Professional/United States (CIPP-US) credentials, he holds certifications in Records Management (CRM), Information Governance (IGP), and Information Management (CIP). He is currently pursuing a Master’s degree in Information Management Systems, including a Graduate Certificate in Cybersecurity.